In the garden you have a large lawn with seating area and barbecue facilities available. Relaxation and pure relaxation - Welcome to Wustrow, a small village in the heart of the Mecklenburg small lakes! The two apartments "Tim" and "Jan" are cozy and functional. Their quiet, yet central location, they make an ideal base for many leisure activities, such as long hikes and extended cycle or canoe tours on the surrounding lakes in the very forests and water-rich environment. 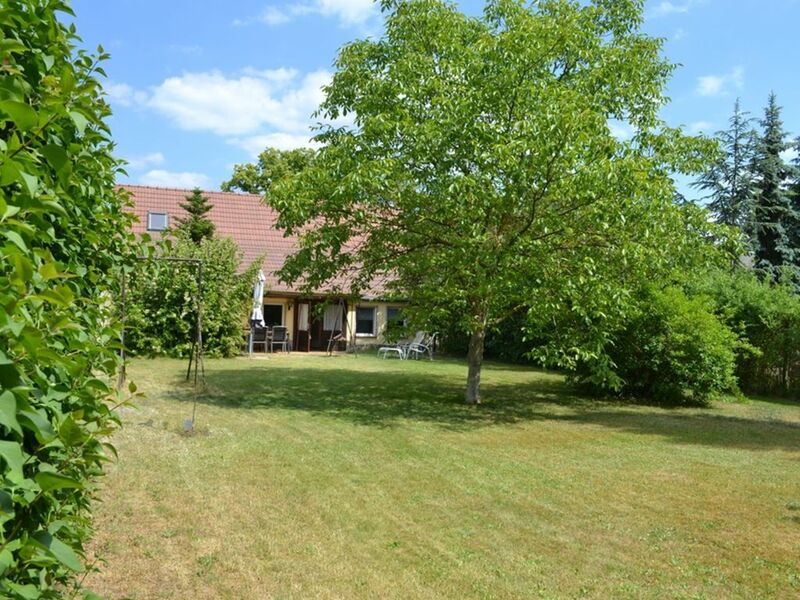 In 200 m away is the approximately 3.5 hectare Plätlinsee with beach and large lawn. Lakeside our rowboat is available and is often used by anglers is. The north shore of Plätlinsees belongs to the nature reserve, for this reason the lake for internal combustion engines is locked. Shops and restaurants are in place or in Wesenberg 6 km away yet. Eine schöne kleine und gemütliche Unterkunft... Perfekt für 4 Personen...Der große Garten ist sehr schön für Kinder, sie haben Platz zum toben. Die Vermieter total lieb und nett, zu jeder Zeit mit Rat für einen da. Der See in unmittelbarer Nähe, echt super mit Liegewiese und Schatten. Ein Boot zur Erkundung des See´s steht auch zur Verfügung.